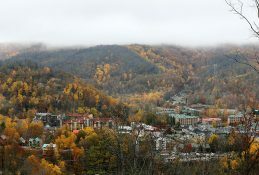 With outdoor adventure at every turn, the heart of the Golden Triangle is more than a campus town. 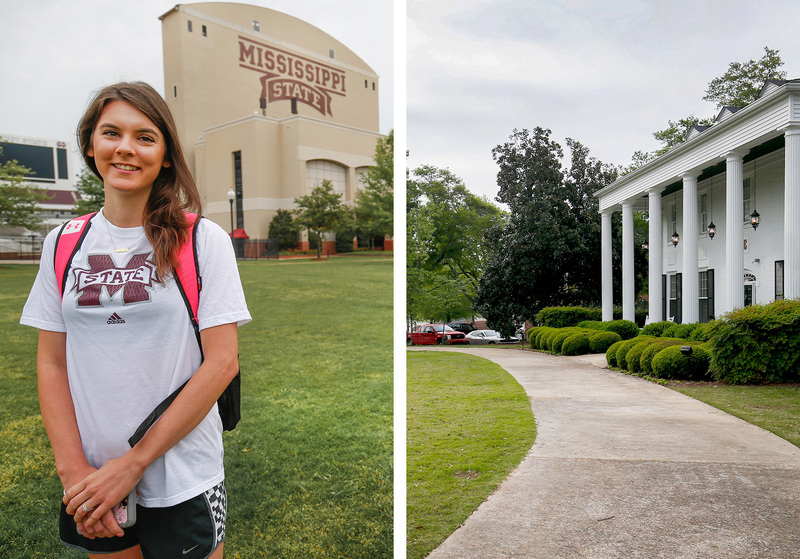 Mississippi State students take pride in the natural beauty of the university's sprawling campus. 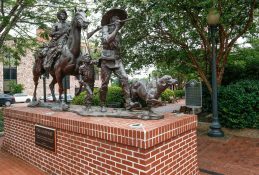 We are highlighting Starkville, Mississippi and the Golden Triangle, including nearby Columbus and West Point, this month in the Good Towns series. Spotlighting special towns across the country, Good Towns is about the character, the history, the people and the unique things that make a town a special place. 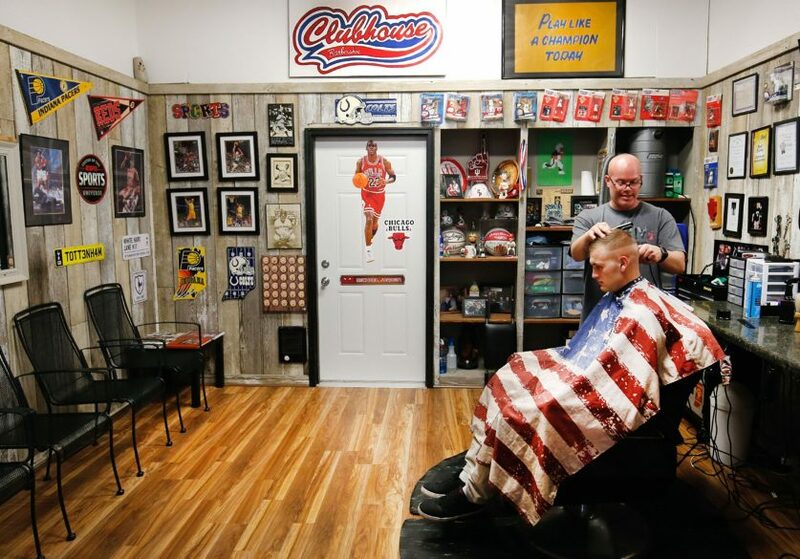 We hope you enjoy this story about Starkville and its many charms. It’s time for class, and on this spring day senior Rachel Thrash is headed across the Junction, the grassy tailgating area next to Davis Wade Stadium, home of the Mississippi State University football team. Thrash is a senior, and for one given to senioritis, there is temptation everywhere. “It’s just such a pretty campus. It really encourages you to just set up outside and do your homework or relax,” said Thrash. 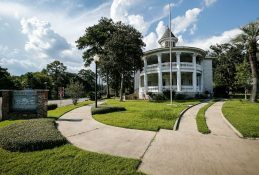 On this weekday, you’ll see hammocks set up between trees, students sprawled on the many lawns throughout the campus and joggers testing comfortable humidity with a workout around a half-dozen small lakes. Everything is a luscious green – what else you would expect on a campus known for its golf and turf management curriculum? The setting begs you to park your car and get out and explore on foot. However, the students aren’t the only ones lured by Starkville’s uniqueness. In 1969, former school teacher Dan Camp decided to transform Starkville’s old cotton mill area a building at a time. Originally comprised of the mill and tenant houses built in the early 20th Century, the area had fallen in disrepair. 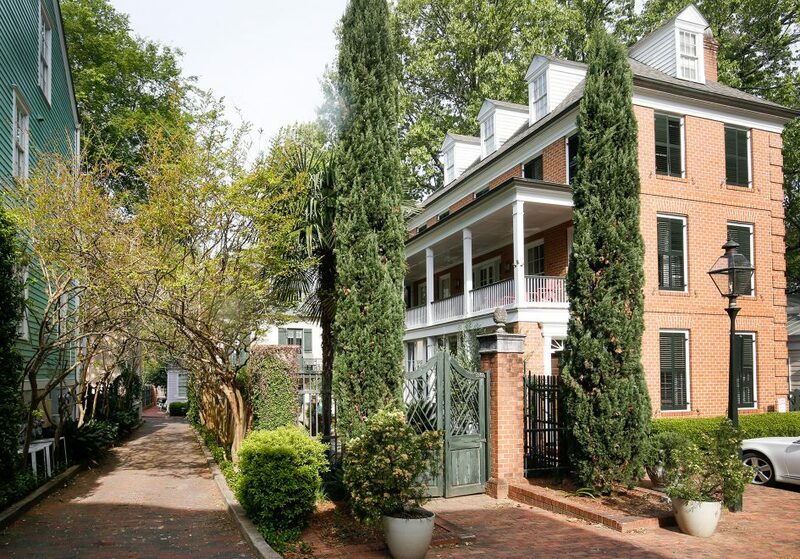 Beginning with townhomes based on architectural styles from Alexandria, Va., Vicksburg, Miss., and New Orleans, Camp began creating what is now known as the Cotton District. “This is an ongoing project, one where I just followed my mother’s instructions. Never have a partner. Never sell,” Camp said. 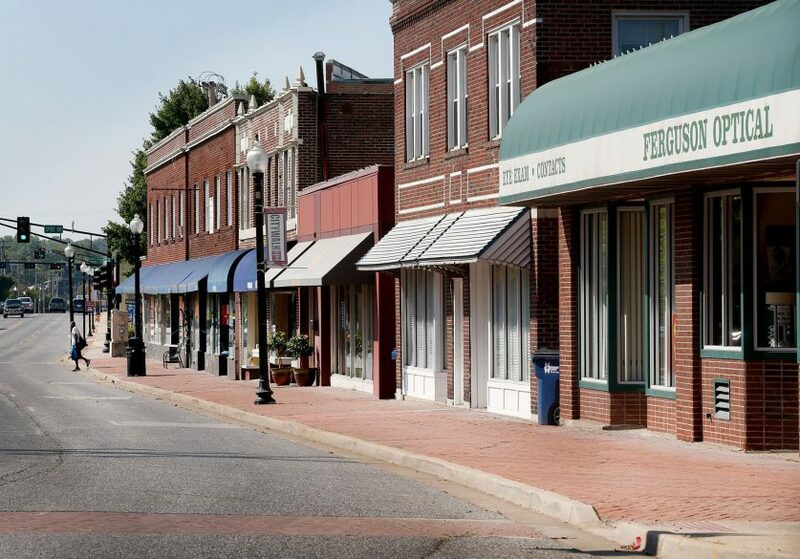 Today, the Cotton District is as hip as ever, bridging the Mississippi State campus and downtown Starkville. The architectural style remains classic, with blends of the French Quarter and Key West, drawing college students who rent and professionals who purchase and never want to leave. A centerpiece is Cinderella Castle, a destination venue that recently hosted 30 family members for a wedding reception. Interest in the Cotton District has drawn people from 124 countries to check out the website. 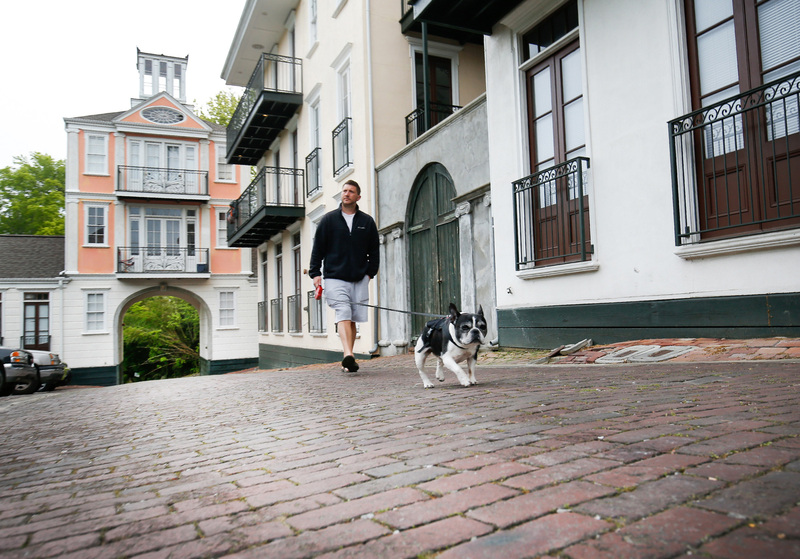 Robert Camp takes his dog for a walk through the Cotton District, which features wonderful architecture, unique statues and a vibe that channels New Orleans and Key West. In addition to a great place to live, the Cotton District has gained a reputation as an excellent place to party, with close to 30,000 people attending the annual Bulldog Bash, which features free concerts and lures well-known bands. The Cotton District Arts Festival draws another 20,000, and good restaurants border the district. For a city its size, good eats are aplenty and nearby – before the big game, after the concert or when friends come to town. The Veranda is known for seafood and steak, and a great time is a given. Harveys offers upscale traditional dining and also has an affordable menu even a college student could love. The Bulldog Burger Company calls itself “the first chance to eat the best burger you’ve never had.” After enjoying the Portabello & Goat Cheese on the patio, we can’t argue. It’s a treat. If you are headed downtown, the Starkville Café, a fixture since 1945, is a must because of the breakfast and lunch menus, the service and the people. 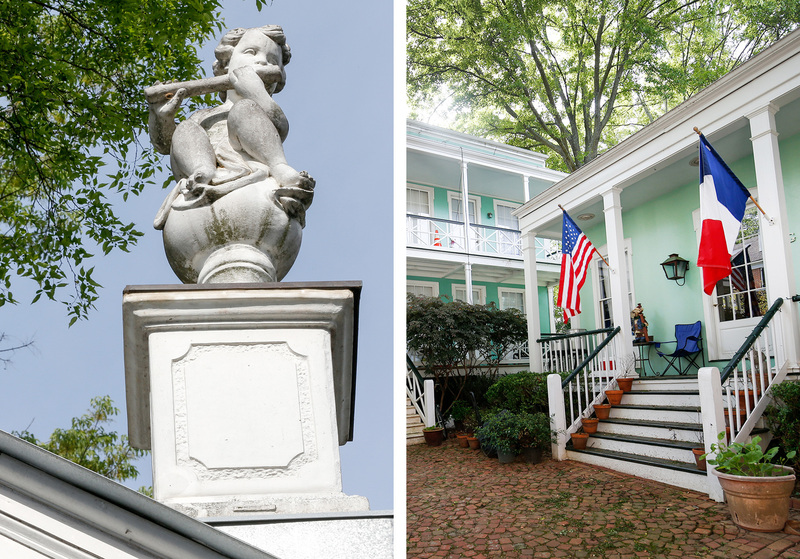 A tour of the Cotton District produces new revelations every time you turn the corner. Head out in any direction from Starkville, and you’ll find great destinations for hunting and fishing. But the most popular hunting throughout the Golden Triangle is for the elusive birdie. The Mississippi State University Golf Course hosts the university’s men’s and women’s teams. 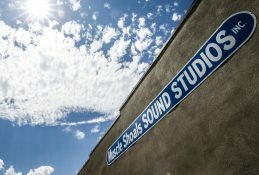 Rounds are affordable and the practice facilities are world class. It also serves as the host facility for the MSU PGA Golf Management Program. It’s ranked one of the top 30 university-owned golf courses in the country by Golfweek Magazine, due to its jaw-dropping beauty and design. Bring your entire bag. Odds are every club will be needed on this challenging host. About 25 minutes away, on the edge of West Point, is Mossy Oak Golf Club. 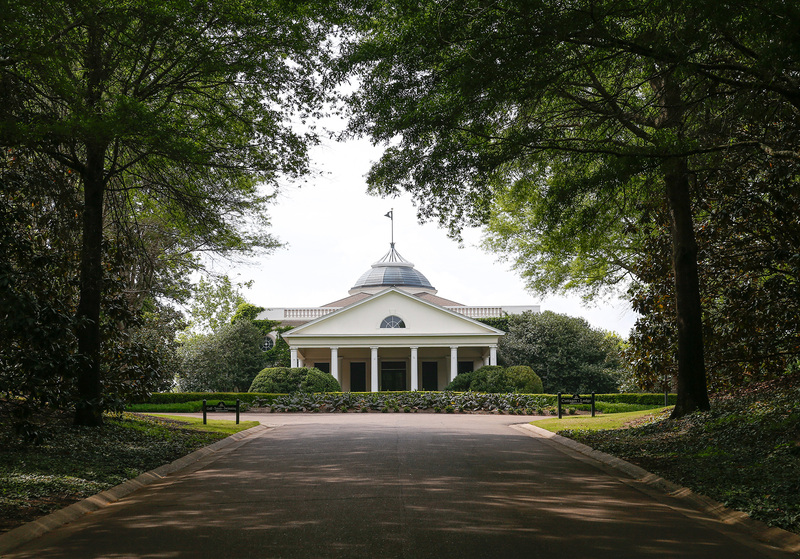 Designed by architect Gil Hanse to preserve the local habitat, it opened in 2016 and delivers an experience known as “Nature’s Golf,” one that brings appreciation of the beauty of the Golden Triangle through all senses. The public course is the mastermind of George Bryan, one of West Point’s most respected citizens and the former CEO of Bryan Foods. Yet as groundbreaking as Mossy Oak is proving to be since its debut, it isn’t Bryan’s only great contribution to golf. Another would be Old Waverly. Just down the road from Mossy Oak, arriving at this 18-hole championship course is like walking on to a postcard. The drive to the golf course is framed by oaks and the course itself makes you feel one step closer to heaven. 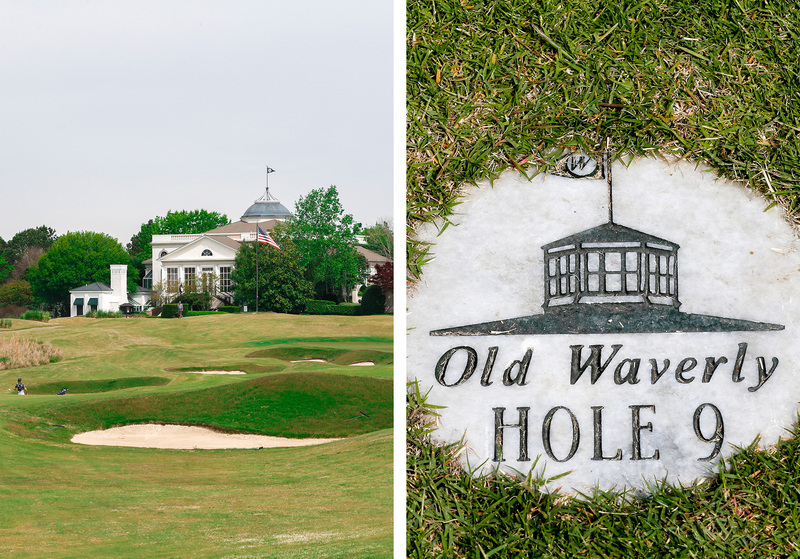 The day we road tripped to see Old Waverly first hand, celebrities could be spotted everywhere, from a pro quarterback to former major league stars and SEC Network analysts. They were all there to raise money for the Mullen Family 36 Foundation, headed by MSU football coach Dan Mullen. Since Bryan hired Jerry Pate and Bob Cupp to design the course nearly 30 years ago, it has hosted numerous tournaments, including the 1999 U.S. Women’s Open. Here, there is attention to detail at every turn. Play is available to members and guests and rental cottages on the shores of Lake Waverly are but a reservation away. The drive up the tree-lined boulevard to Old Waverly is breathtaking, but it doesn’t compare to what awaits you on the course. Here’s the great thing about the Starkville climate: There’s fun to be had year-round. Seems everywhere you turn, there’s a festival or a week-long event. Starkville Restaurant Week is the state’s largest, with more than 30 culinary establishments participating. 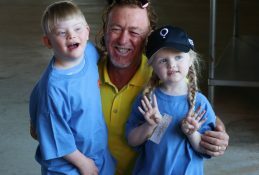 The event raises money for charities, nominated by local residents, and is held in the spring. Even when the weather’s nippy, however, there is good reason to get out. In January, that reason is the SOUPer Bowl. Held just before the NFL’s Super Bowl, this event is a taste-off featuring soups from local restaurants. And the UnWINE Downtown, held three times a year, blends shopping and wine – two favorite pastimes – with local retailers offering enticing discounts. 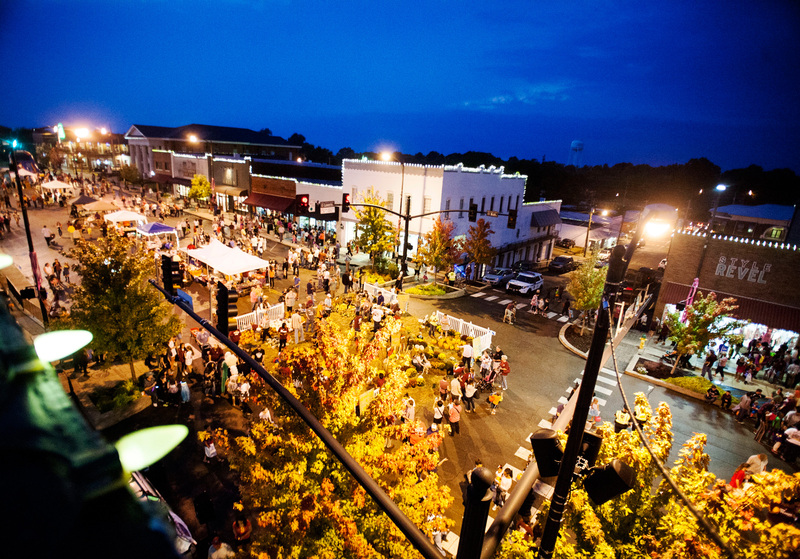 Another great event created by the Greater Starkville Development Partnership for “Mississippi’s College Town” is the annual Pumpkinpalooza. Kids (of all ages) are invited to wear Halloween costumes and trick-or-treat down Main Street, where merchants hand out goodies. There’s face painting, a Harvest Window decorating contest, a fashion show held by the university’s Fashion Board and, of course, an MSU pep rally. Each spring, film busts arrive for the Magnolia Independent Film Festival, a three-day filmmaker-friendly event. There are seven award categories, including Best Feature, Best Documentary and Best Foreign. Some filmmakers have gone on to success at Sundance, but they still call the Magnolia their best experience. The unique Night Market, part of Starkville’s premier New South Weekend series that seeks to provide visitors with world-class events built around MSU home football game weekends, boasts it is where an “urban street vibe meets county fair charm,” and features food vendors, local artists and live music. 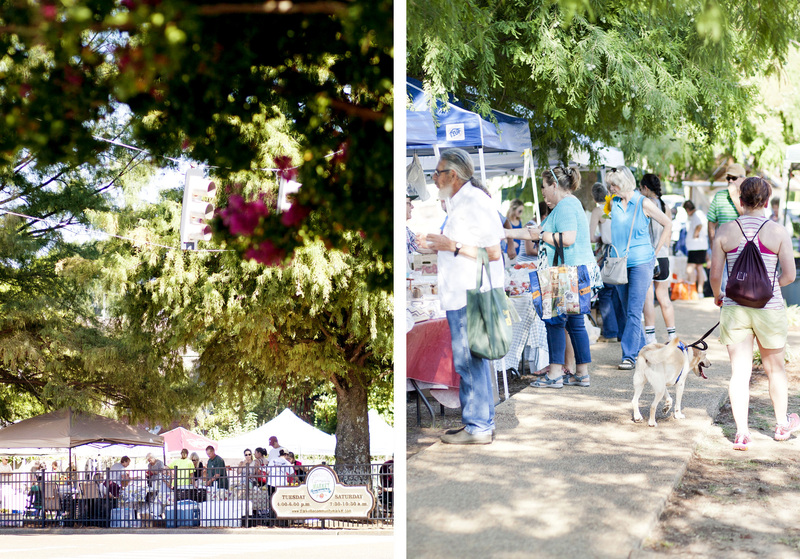 Additionally, the award winning Starkville Community Market lures local growers, food producers and artisans on Tuesday afternoons and on Saturdays beginning in May continuing through the summer into August, and serves as the community’s source for locally grown and hand-crafted food products. Offering live music and culinary demonstrations, The Market is a hot spot for residents and visitors alike during the summer months. In West Point, the Black Prairie Blues Festival has rocked on for 21 years. Jarekus Singleton headlined the 2016 gathering, held in the hometown of the legendary bluesman Howlin’ Wolf on the Mary Holmes College campus. With events ranging from Restaurant Week to the Farmers Market and the New South Weekend series, there’s always something going on. (Photos special to Doing More Today). Even when the weather turns bad – and it does, even in Starkville (though not often) – there’s plenty to do indoors. Some of it may require a thinking cap. The Ulysses S. Grant Presidential Library is located on campus, at MSU’s Memorial Library, where you can learn more about the nation’s 18th president. We know you’re already asking the same question: Why Starkville? According to John F. Marszalek, the Giles Distinguished Professor Emeritus of History at MSU and the Executive Director and Managing Editor of the Ulysses S. Grant Association, the university landed the Grant material in 2009. The original archives were housed at Southern Illinois University. Following the death of Dr. John Y. Simon, the executive director at the time, the Ulysses S. Grant Association sought a new host institution. USGA President Frank J. Williams, chief justice of the Rhode Island Supreme Court at the time, hired Marszalek as the executive director. Three MSU presidents, MSU Libraries Dean Frances Coleman, Marszalek and Williams then negotiated to bring the massive collection to Mississippi State. Also in MSU’s Memorial Library is The John Grisham Room. This exhibit provides a glimpse into the author, MSU alum and former state legislator, with documents including the original manuscript for his breakout novel, A Time to Kill. In Mississippi, of course, great literature is part of the DNA. The Tennessee Williams Birthplace is in nearby Columbus, where the author of A Streetcar Named Desire entered this world in 1911. The Welcome Center notes Williams’ contributions to the stage and screen, the influence the town had on his career and offers information on another famous writer with Columbus roots. Eudora Welty attended the Mississippi University for Women and won the Pulitzer Prize for fiction in 1973 with The Optimist’s Wife. The university holds an annual October symposium that celebrates Welty and other great Southern literature. On autumn Saturdays, Davis-Wade Stadium is the hub of life for Mississippi State fans. But as Rachel Thrash, a senior during the spring semester, can tell you there’s so much more to the Golden Triangle than sports. 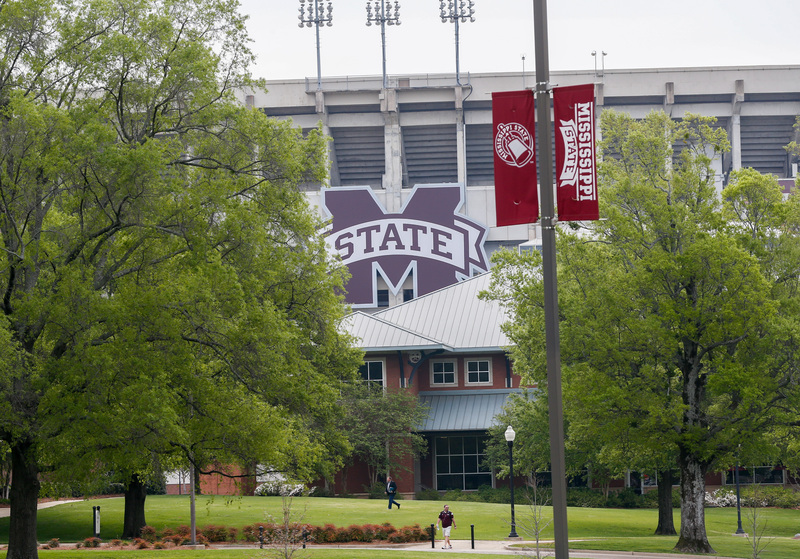 A charter member of the Southeastern Conference, Mississippi State is growing at a record clip. 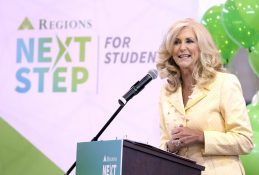 Last fall saw a record enrollment of 3,624 first-time freshmen, pushing the university’s overall population to close to 22,000. Family tradition, affordable tuition and academic reputation play a role, but so does State’s expanded athletic brand. The football team ascended to the top of the Associated Press Top 25 rankings a few years ago behind quarterback Dak Prescott, setting the stage for his own success as the rookie quarterback of the Dallas Cowboys. The baseball Bulldogs have long been one of the nation’s elite programs, and played for the College World Series title in 2013. And the women’s basketball team, on star Morgan William’s “shot heard ‘round the world” just ended UConn’s 111-game winning streak in women’s basketball, earning the national runner-up title in all-SEC finale against rival South Carolina. For the cost of a cup of coffee, students, faculty and townsfolk from across the Golden Triangle can attend State’s sold-out baseball games at Dudy Noble Field or pack The Hump, Humphrey Coliseum, to see elite teams compete against the best from across the conference. For many, access is a quick walk across campus. Even for citizens driving in for West Point and Columbus, it’s at worst a trip akin to “going to the store” in a big city like Atlanta. A 1983 graduate of the university, Sammy Slaughter is “a Bulldog, through and through.” Now a banker in the city, he believes he’s in the perfect location. 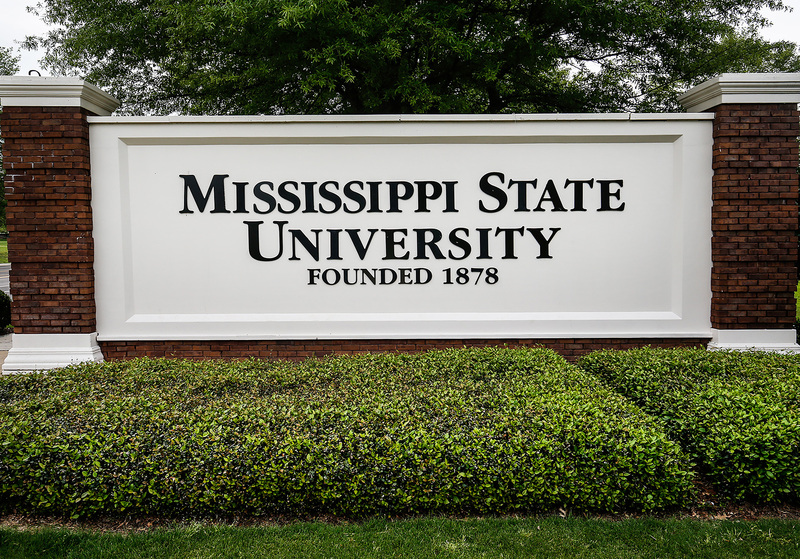 See how Mississippi State University is helping students fight rising student debt. 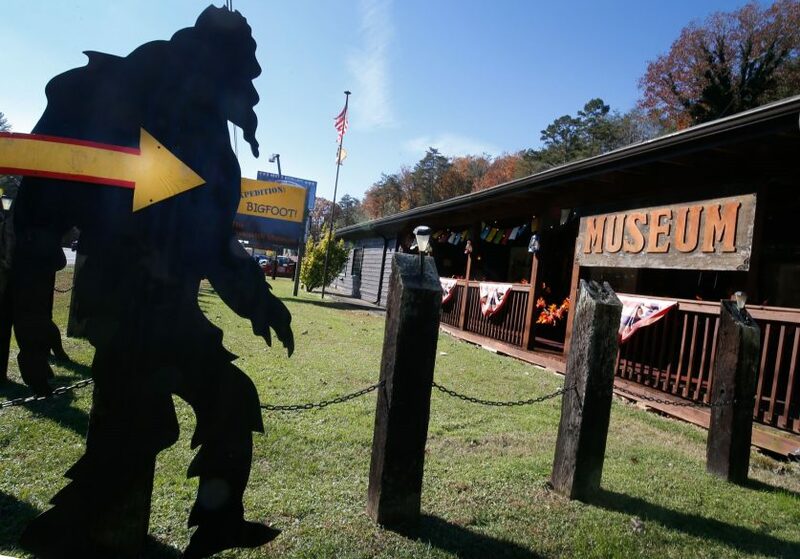 This quiet mountain town is a haven for outdoor enthusiasts, a refuge for chimpanzees and the hideout for a most infamous local citizen.